Do you have a trouble bubble? An area that bothers you more than the rest? Our ReFit Body Tightening treatments are out of this world! They are used for areas you are looking to slim down and tighten up. We can get to the depths of the skin and treat that stubborn cellulite with our CORE technology while tightening the skin at the same time. We use radio frequency energy to target enlarged fat pockets to reduce fat cell volume and increase metabolism. While our vacuum mechanism increases blood circulation and lymphatic drainage. Treatments are simple and comfortable, and resemble a deep tissue stimulation coupled with gentle suctioning of the skin. ReFit Body Tightening treatments are all the rage and are the most popular. Are you wondering how to handle loose, sagging skin and stretch marks due to fast and excessive weight loss? Our ReFit treatments are for you! 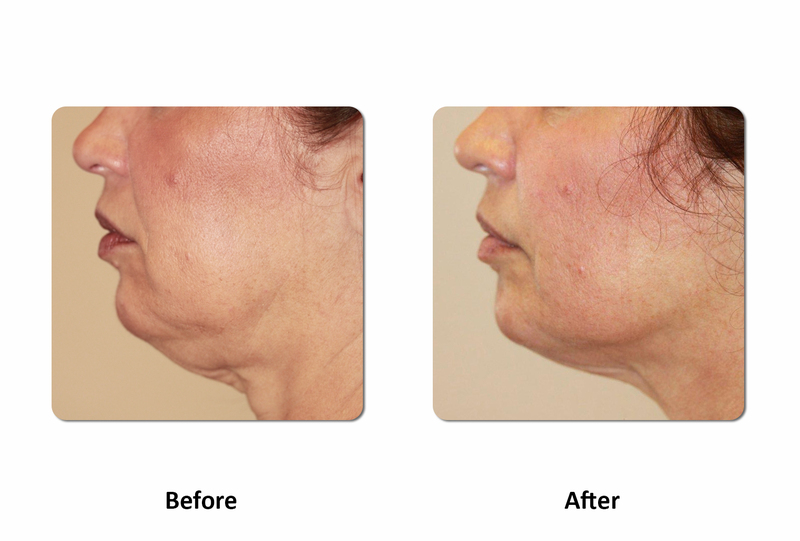 Searching for a non-surgical solution that will achieve the natural results you’re looking for? Look no further! 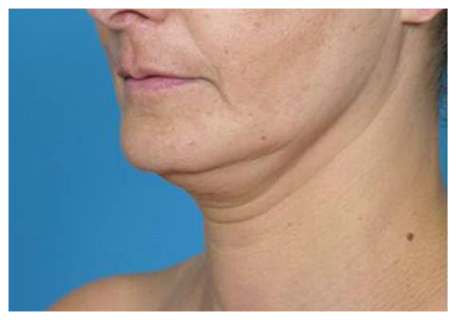 Millions of people who suffer from loose sagging skin post childbirth, diet, exercise or surgery, seek a a quick non-invasive solution, in order to avoid the expense and recovery time of surgery. 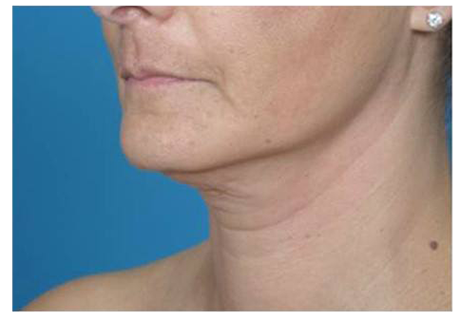 Our ReFit treatments are the ultimate solution for loose, sagging skin and stretch marks after excessive weight loss. Fast, painless and cost-effective, ReFit treatments are custom built to resolve your skin troubles and deliver the most natural looking results. Suitable for all skin types and with no anesthesia required, our CORE technology utilizes RF energy to strengthen skin’s elasticity, restore collagen flexibility, improve the skin’s firmness, and much more. ReFit gets the job done quickly and effectively, utilizing the most up to date systems and technology for non-invasive body contouring treatments. The ReFit treatments were designed with your ultimate goal in mind – to look and feel young again, painlessly and affordably. Custom built for maximum convenience and comfort, ReFit treatments require no downtime and will have you in and out of a treatment session in less than an hour. Featuring first class technology, our ReFit treatments enable you to easily attain a fresher and more youthful appearance, with the most natural looking results. For more information about pricing and packages please schedule a free consultation. To qualify for Refit Body Contouring, you should visit our consultants to assess whether you are a potential candidate. Learn more with a FREE consultation! I was ready to get healthier in life by losing weight and making better choices in my eating habits. I had been trying on my own with no luck and too many excuses. I had read many advertisements and success stories at NuYou. That’s when I knew I needed that “extra” encouragement/program to help me lose my weight. That’s exactly what I found at NuYou. The staff is always helpful, positive and giving me that extra push to keep going. Before long I saw myself losing the weight and accomplishing something for myself…a healthier me. Thank you for your support. I feel great inside. …I enjoyed coming to the center the most! Talking to the girls is one of my favorite things. They are supportive and keep me on track. Maintenance can be tough, you’re given all these options and at times it can be overwhelming, but here the staff genuinely cares and will take time to discuss everything with you. Whether you’re struggling and need to be motivated or just to make sure that you completely understand, they have your back. By coming to the center weekly/bi-weekly, even during maintenance, has kept me accountable. Sagging Skin by Age 45! give support and encouragement throughout your program. look and feel once I reach my goal. Diamond Tip Dermabrasion – Better than treatments of years ago. I was driving by and saw the “Free Consultation” sign. My daughter and I pulled into the parking lot and walked in. The young lady at the desk greeted us with a big smile and answered all of our questions and we just knew this was the place for both of us! The program was so user-friendly – we could shop from the grocery store shelves. We learned to be creative with veggies and spices. I am now at my high school weight! I love the way I look and feel every day. My energy levels are high and I love going to the “Y”. I had tried other weight loss plans but this one is the BEST. The staff is awesome – always positive and cheering you on even on your bad days. Thank you from the bottom of my heart! “After 60 years of sun worshiping and 40 years of smoking my face, neck and hands looked OLD! While attending an Open House at NuYou Weight Loss and Wellness I saw a demonstration of facial skin rejuvenation/photo resurfacing. I was amazed at the immediate improvement in the models age spots, skin texture and laxity. When they said it would continue to improve for almost a month I was hooked! Losing weight was always a challenge for me. The physicians and staff at NuYou were able to fast-track my weight loss and help me maintain my goal weight — 50 pounds gone for good! “I am proud to say I lost 55 pounds at Nu You Weight Loss and Wellness last year! I love my new look but I just couldn’t exercise away a few trouble spots on my belly, hips and thighs. When the coaches at NuYou suggested I try the laser lipo I thought “Why not?”. I did. I was able to point out the areas that needed finer countering and the laser lipo targeted those areas! Better yet, I could do two areas at once for a substantial cost and time savings! I was amazed by the immediate reduction in inches in all areas treated but it got even better over the next few days. I drank a lot of water and did some mild aerobic activity after each treatment as recommend and I literally watched my problem areas melt away! I do have to watch what I eat to keep it off but it is very worth it! Love my new contours!” ~ Kara J., La Crescent MN. Can’t exercise away my trouble spots! Monday - Thursday: 7:30-6:00 P.M.
Friday: 7:30 – 2:00 P.M.
Saturday: 8:00 – 12 :00 P.M.
(c) 2018 NuYou Weight Loss & More. All Rights Reserved.